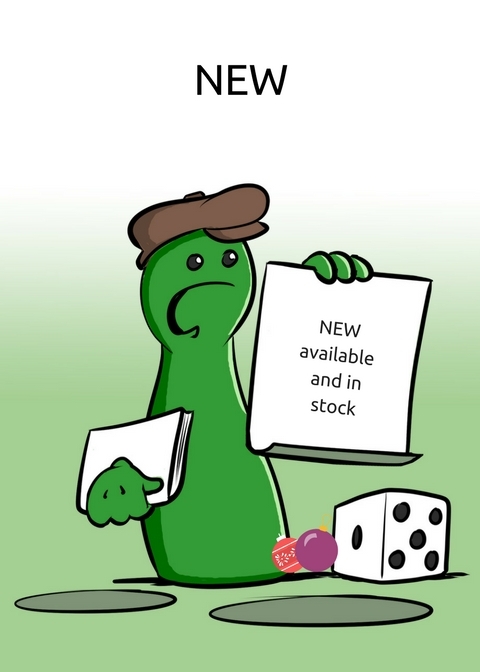 15 already anounced games are now available and two game are new in stock. Cast off and set sail for the fishing grounds! If only navigation was less tricky ... And where are those pirates hiding? Four ships are sailing on a waterway made up of playing cards. As soon as a ship reaches the final card, the game is over. Now your sailors are going to score, provided their ships have ended up on cards with fishes. 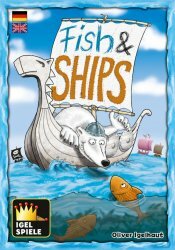 Order FISH and SHIPS at Spiel direkt eG now. There are six companies that will change the world as we know it! You can be part of their success and be a investor. Try to become rich by making the right decisions! 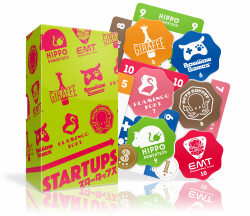 Order STARTUPS at Spiel direkt eG now. AT HELVETIQ, THEY DESIGN AND PUBLISH NEW EXPERIENCES FOR CASUAL GAMERS, BOOK LOVERS AND DESIGN AFICIONADOS, IN PRINT AND DIGITAL FORMATS. THEY LIKE TO COME UP WITH TITLES THAT CATCH ATTENTION AND MAKE PEOPLE SMILE. ONES THAT INSPIRE THEM AND MAKE THEM SEE THE UNKNOWN IN THE FAMILIAR. Order games of Helvetiq at Spiel direkt eG now.